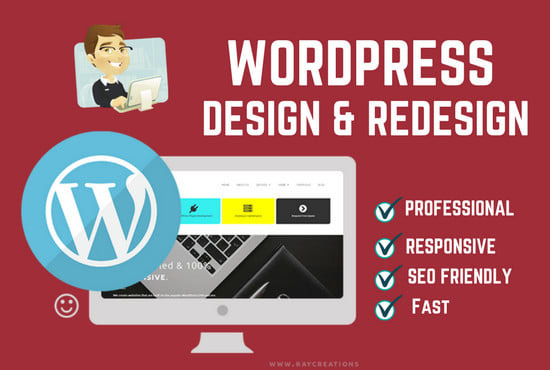 I have more than 5 years of Professional Experience in Wordpress website Designing and Development. I can help you create a clean, Modern and Premium website for your Company or Business which in turn can help you to get more leads and customers. I have vast Experience Working with Many WordPress themes and Plugins so I can help you to modify, Design and redesign your site as per your Requirements. So what are You waiting for just Contact me today and let me Help you to create your Dream Wordpress website as per your Requirements? I will design or redesign wordpress full responsive website is ranked 5 out of 5. Based on 1 user reviews.